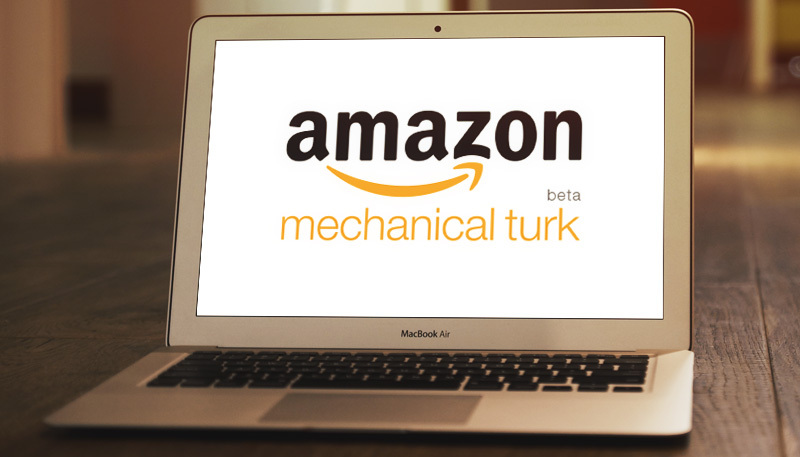 If you’ve searched for work from home jobs online, it’s likely that you’ve heard of – or even tried – Amazon Mechanical Turk. This website is all about microtasks, or jobs that are usually pay little money, but are short and quick to complete. The idea is that, if you are able to complete several microtasks, or “turks”, within an hour, you can make a decent hourly wage. It all depends on what’s available at the time and what type of tasks you’re skilled at completing. Most people don’t earn a full-time wage from Amazon Mechanical Turk, also known as Mturk. Instead, it’s more of a fill-in way to earn some side cash in addition to a regular job. It can also be a good introduction to the world of online jobs, giving you some experience for data entry, transcription, and other tasks that many online jobs entail. Plus, it can give you some experience working on your own, setting a schedule, and keeping yourself motivated to work. But, Mturk isn’t the only place of its kind on the internet that offers microtasks. There are some Amazon Turk alternatives that you can use if you’re looking for more work or something that may pay a little better for certain tasks. Also, those outside of the United States may want an alternative because Mturk currently only offers bank transfers for those within the country. So, here are some alternatives for you to check out! When you register for Clickworker, you’ll complete a variety of tasks that can change daily. You may categorize images one day, or participate in surveys for cash the next day. Depending on your skills, you may even be able to edit documents, proofread, complete research, and do other skilled tasks for more money. Once you fill out your profile, you’ll be eligible to browse current tasks and apply for them. You’ll also need to complete some short assessments so the Clickworker database can get a feel for your skills. You can opt for weekly or monthly payments via PayPal or SEPA. Clickworker also offers an app for iOS that lets you complete some tasks while using your mobile device and check your account balance. 07/10/2018: CrowdFlower has changed its name to Figure Eight. Figure Eight is a company that provides various data solutions to businesses and individuals. The company looks for “Contributors”, which will complete tasks similar to what Amazon Mturk offers. Interestingly, Figure Eight used to use Mturk to post some of its tasks. Now, it uses places like InboxDollars and Swagbucks for some of them. Of course, it offers tasks on its own website, too. You can sign up to be a Contributor and start completing tasks once you fill out your profile. Skilled Contributors have more access to better, higher-paying tasks, but you’ll need to prove yourself worthy by accurately completing regular tasks. When you become a Skilled Contributor, you’ll be eligible to start checking work from others, so you’ll have a larger pool of tasks from which to choose. Fiverr is a little different than other websites on this list, but I felt that it was worthy of a mention here. This site lets you post your own “gigs” for $5 or more. Your gig can include just about any skills you have, from data entry tasks to image tagging to photo editing and more. So, if you’re looking to make a quick $5, much like you would from microtasking, join Fiverr and create your own gigs for things you like to do. If you have ideas of tasks that may take you longer than a task worth $5, you can place add-ons for your gigs for more money. For example, you can offer to write web content of 100 words for $5, or boost it up to $20 for longer content that will take you longer to research and write. Once a buyer accepts your completed work, you’ll get the cash in your account, which you can transfer to PayPal. This is a good option for those who want to create their own gigs with things they like doing, rather than pick from a batch of listed tasks. JobBoy isn’t one of the most well-known microtasking sites, but it’s a good alternative to Amazon Mechanical Turk. This site offers a broad range of tasks, which can always give you some variety each day. Here, you can do anything from taking a survey to signing up for a website account to liking a Facebook post. And, even quick tasks like signups can make you $0.10 or more for only a couple of minutes of your time. Job posters must accept or deny your work within 48 hours. If they don’t take any action, it will be automatically approved and you’ll get your money in your account. To start working, you simply need to register a profile. Then, you’ll be able to browse open tasks. Once you reach at least $10 in your account, you can withdraw your money. Microworkers is one of the most popular options for microtasking websites aside from Mturk, and is likely the most similar option from this list. Writing product reviews, engaging with social media or websites, and writing quick website articles are among the most common types of tasks you’ll see here. You can get $1 just for joining Microworkers. And, some tasks pay more than what you can expect on Amazon Mturk. There are usually several tasks available here at any given time, so you’ll have plenty to choose from. One positive thing that Microworkers has going for it over Mturk is that it tells you the percentage of people who have been approved for completing a job. So, if you’re looking at a particular job, but you aren’t sure if you want to try it, the percentage can help you determine if it’s worth it for you to start. Some job posters are very picky when it comes to tasks and may accept very few of them, which means you may waste your time doing it. The higher the percentage of completed jobs, the better your chances for having your work accepted. Also, your Microworkers payments can go straight into your PayPal account, so there’s no middle man for payments like there is for Mturk (where your payments first go to your Amazon account before you can transfer them). Minijobz is one of the lesser-known sites like Mturk. You may have to search a little more for “legit” opportunities here, but it’s worth a mention. This site does have some scammy jobs, like downloading files (which could contain viruses). But, these can be found on just about any microtasking site – they’re just a bit more common here. So, use your due diligence. Don’t download anything to your computer or do anything that seems like a scam. With that being said, some online reviews have proved that people have been paid here, so it’s worth a mention. You can also earn some extra cash through friend referrals. OneSpace is gaining a lot of popularity for freelancers. It not only caters to those who want to microtask, but it also has other opportunities for freelancers, like web design, writing, and editing. So, you can find a lot of work here depending on your skillset. One benefit of OneSpace over Mturk is that it pays conveniently with PayPal right from your accrued balance. You won’t have to wait several days for payment. When you first log into the system, you may not find tons of tasks to do. Unfortunately, it’s not quite as active as Amazon Mechanical Turk, Microworkers, and others. But, you can earn some qualifications that can help you gain access to more work. For example, you can take a Data Collection or Data Tagging assessment to qualify for those types of jobs. The more qualifications you have, the more you can potentially make here. RapidWorkers is much like Microworkers and Clickworker in the types of jobs it offers workers. You might vote for a YouTube video for a few cents or follow an account on Twitter for a few more cents. A lot of the tasks are related to signing up for accounts or social media tasks. You can receive your payments via PayPal or Skrill and you’ll need at least $8 in your account to cash out. But, you will be subject to a 6% PayPal fee or 8% Skrill fee when you cash out, which is a bit of a downfall with this site. Still, RapidWorkers seems to have a lot of work available at any given time, making it a fairly good alternative to Mturk. ShortTask has Seekers who post jobs and Solvers who complete the microtasks. This is another site that gets mentioned a lot online for sites similar to Mturk, and it’s a decent alternative. However, the drawback is that it doesn’t have nearly the number of tasks to choose from. Tasks tend to get picked up quickly here, so if you don’t get to them fast enough, you may not have much work each day. Once a Seeker approves your work, you’ll get paid. Smart Crowd by Lionbridge is one of the most popular microtasking sites that leans heavily on data entry tasks. You can sign up to be a part of the team, but you may not always have work available here. Tasks largely depend on your location, so Smart Crowd may have a lot of tasks for some areas and not as much for others. Fortunately, Smart Crowd will let you know when there are tasks available that you match with. You can choose to work on them or not, depending on your schedule and the pay rate. Before you do get any work, though, you’ll have to complete an evaluation that ensures you have the skills to complete jobs for Smart Crowd. The higher your score, the more chances you’ll have to get some work. There you have it – 10 sites that are good alternatives to Amazon Mechanical Turk! Even if you like Mturk more than the others, you can still utilize those sites for some fill-in work if you don’t have anything that meets your skills on Mturk for the day. It’s always good to have a backup plan when making money online! Do you use Amazon Mechanical Turk or any of the similar sites on this list? Let us know your favorites and why in a comment! I signed up for ShortTask.com a while back, and I completed exactly ONE task for them. The task was a simple website signup that was supposed to pay $13. However, when I attempted to withdraw the funds to my PayPal account, I found that the money no longer showed up in my ShortTask account, nor was it in my PayPal. I repeatedly emailed and complained about it for months, and was initially told that due to technical difficulties with PayPal, that I would have to wait until the issues were resolved to receive my money. This was 4 months ago. I still have no $13 from ShortTask, and my additional emails to them go unanswered. ShortTask.com is a SCAM, and NOBODY should do any work for them. They’re a total RIP-OFF! I’m only glad that it was only $13 that I lost, and not much more. I love love Mturk and Mircoworkers. I have been paid by both lots of times. I have heard that about clickworkers. I will have to see about the other ones. Cloudcrowd I can never seem to get to work for me. Interesting post. I haven’t tried any of these, but they look like so much fun that I may just have to roll up my sleeves and jump in. So did you ever work for any of those? mTurk is a great one and I personally use it all the time. I haven’t made much with it but its nice to have a few extra bucks transferred to my Amazon account. You can also have the money transferred directly to your bank account but I like being able to have some Amazon spending money. I do mturk. This is a great list I am going to bookmark it! Am from india i tried creating account in amazon mturk but after 24-48 hours its showing that your are not eligible to do work.it means id not created. what is the way to create account in mturk. can you please help me to do this? Mturk doesnt work in India. Its a great post. But I would be happy if you kindly tell me the best one which pays fast. I cant say for sure which ones pay faster. I think CloudCrowd pays really fast and they have some nice paying tasks from time to time. mTurk varies depending on how long the person who posted the tasks take to approve them but usually within a couple of days and if you want to use it as Amazon credit, you have the money available to you as soon as they approve and credit you. There’s some kind of merger with another company going on. 2.4.2014. It may be good to keep a close eye on the changes, since this is one of your recommended sites. Thanks. Thanks so much for the update about this Pat. I had no idea and definitely something I need to keep an eye on. Thnx for the list Very helpfl,i will try 1 by 1..
As a Seeker on SmartTask I would avoid using the site.people are only there to fill out the for as quickly as possible without a given opinion and move on. It’s nice and helpful..Thank You!! I wanted to mention a brand new site called gigworks.net we are much like other sites like fiverr and you can get paid via paypal for completing each job (gig). More payment gateways are in the works, and the site is new. Try it out it is free to post and search. I’ve tried amazon mturk and they do pay. For shorttask website, I did signup as a seeker not solver. The job is done but the quality isn’t good since fee is just meager. I didn’t want to do tasks in there since it pays too low. For the record, I just signed up with Clickworker not realizing all the job offerings would look like phishing attempts. There is no obvious way to cancel your account, and when I attempted to contact their admin email, the message was booted back to me with the error message “550 Mailbox quota exceeded”. Apparently, after investigating further, they’ve been having payment issues and people’s complaints are going unanswered. I would probably remove this one from the above list, or please at least remove the “tried and true” check mark. What about work at home DADS? I honestly love Amazon Mechanical Turk it may be a little amount of money but it does pay good once everything is addeed up. I have no concern because amazon is also a trusted site. pleaso do not sign up for shorttask that is the most horrible site every ive went on there as of today and signed up and there was allot of task on there that were scams. i remember one that told me to go on craigslist and post a job ad that payed like $500000 and that was a big scam. immediately after reading i just stopped and never went on the site every again and plus everything on their looks like scams. I would suggest trying Mturk first. A lot of people have great success on that site and it is the most reliable. Thank you so much for the research you do. I have been working on MTurk for two weeks and I agree MTurk is has been the easiest for me to use and get paid. Keep posting. You are doing a good service here. Just fyi: just tried to sign-up. They do not accept new registration. yes currently Mturk not accepting the registrations for india people. I agree with your comment.I am a member of Amazon mechanical turk from past 3yrs and it is genuine.but the only problem is very low payment.Can you please suggest me any other sites which are genuine and pay more payment.Am from india. I tried ClickWorker, entered all of my real skills and real everything, but guess what there was only one job available; which was through a survey company with the name ‘Peanut’ in it. The surveys constantly disqualified me, over 10, although I entered all the necessary info and I am over 18 years of age, etc. Soon after I enter some personal info; which was fake but believable information because I do not want to be scammed by 3rd party sites. Anyway, I spent about an hour doing these surveys then finally I earned .38 cents from one of them, but it never showed up in my Clickworker account. I am deleting my account because I don’t have time to waste. I am with Mechanical Turk; which is awesome and allows me to immediately work on stuff without the hoop jumping. Clickworker may have a similar format to Mechanical Turk, but it is nothing like it AT ALL. Just my opinion. Clickworker can be considered one of the more viable alt.’s to mturk. As a signup myself I can confirm their tasks are real. Where critics go off on CW, perhaps justifiably, is in the co.’s sparse offering of tasks. CW is actually a bit different in this regard since one should take all avail. assessments whilst trying to score as high as possible in each to (hopefully) get at the better paid work. CW also hosts the coveted UHRS database of work. These tasks pay exponentially more–for the rightly skilled worker. As for the surveys on CW, they’re not worth touching with a bargepole, esp. bitterly bad PeanutLabs. Thanks for the opinions on CW…have been on a fence about them. Am also a Turker – love it. Just looking to have my hands in a few baskets. None of these suggested sites pay more than MTURK. This article is misleading clickbait. These websites pay significantly less money for work. I have never tried MTurk. However, I have been using Microworkers for more than 5 years. It is a good micro job platform to make $50-$100 every month. HG (Hire Group) jobs are independent of the location and are always available. I tried Clickworker for few months and the tasks are not limited.